Do you think diet and exercise are the only factors for weight loss? If you answer is yes, you are wrong! The first step to weight loss is to understand your body type. Most of us don't know under what category our body belongs to. If you want an effective and sustained weight loss, here are the things you should keep in mind before you start your diet and workout. 5 Worst Myths Related to Weight Loss: Dieting Mistakes Which Might Sabotage Your Fitness Goals. We all have different body types that function differently. The same strategy for weight loss will not work for everyone. 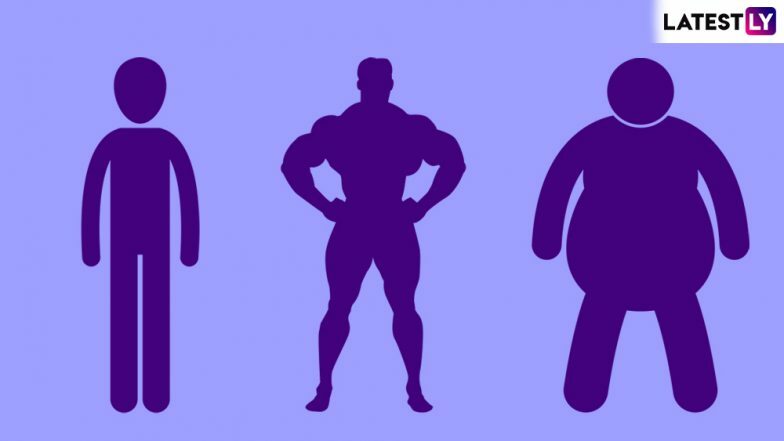 Each of our body types falls under one of the following category-- ectomorph, endomorph and mesomorph. Ectomorphs are lean bodied and find it hard to put on muscles. Endomorphs have a large body type and store excessive fat. Mesomorphs have an ideal body type, which has a medium frame and builds muscles easily. It also has a high metabolic rate. If you are an enctomorph, you have to focus more on the developing muscles. The best part of ectomorph is that they are good at processing carbohydrates for energy and burn fat quite quickly. Ectomorphs should focus less on cardio and more on compound exercises. For diet, have foods with complex carbs apart from adequate proteins. WORST Exercises and Workout Mistakes That Will RUIN Your Fitness Goals. Endomorphs have a bigger frame and tends to store fat quickly. People falling under this category usually has a stiff body with poor mobility. They should concentrate on High-Intensity Interval Training(HIIT) along with other cardio exercises like brisk walking, cycling, etc. For diet, endomorph should monitortheir calorie intake closely and avoid unnecessary carbs in their body. Endomorphs should also have a lot of fibre in their diet. Here the body is quite responsive; these people can gain and lose weight easily. Mesomorphs should train for endurance as well as for strength. If they train regularly and eat well, they can maintain their body well. But having an ideal body type shouldn't make mesomorphs take things too lightly. Even they should track their daily calorie intake and adopt healthy eating habits. Our body type plays a crucial role in weight management; endomorph finds it challenging to lose weight; on the contrary, ectomorph struggle to gain weight. Unfortunately, most of us commit the mistake of choosing a diet plan which are not suitable for our body type. Therefore, it is necessary to consult a certified dietitian before opting for any fitness regime.